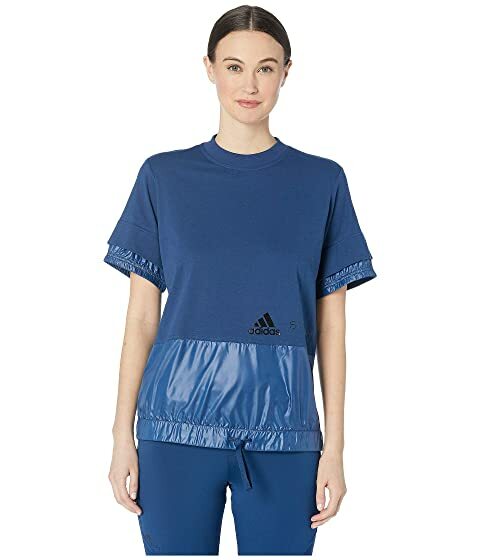 Achieve your workout goals for the day with the adidas® by Stella McCartney™ Crew Tee. Brand name graphic at front. Straight hemline with drawcord-adjustable waist. We can't currently find any similar items for the Crew Tee DT9316 by adidas by Stella McCartney. Sorry!